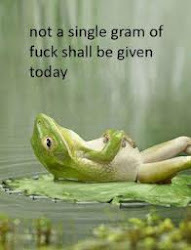 That might seem like a bold statement but listen up people. STOP IT with the perfect pumpkins. While I am struggling with getting square teeth, some people out there are carving a representation of Mona Lisa into pumpkins, creating miniature pieces of orange art and putting WORDS on pumpkins!!! I'm still struggling with making the eyes even and I'm faced with people sharing their pumpkins with faces IN? What happened to pumpkins that were awful? 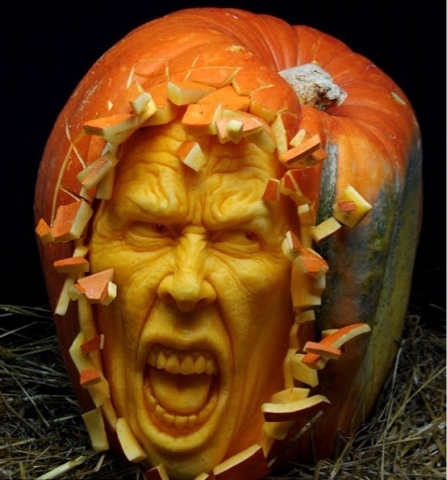 When did pumpkin art become a THING? Stop looking at Pinterest and watching YouTube tutorials on how to carve the perfect pumpkin. What is wrong with a misshapen pumpkin that is only scary because of how awful it is carved? I miss retro pumpkins.it isn't a sodding competition. BRING BACK BORING PUMPKINS I SAY. Purely because I can't carve good ones. Pssssst, anyone got a link to a good pumpkin carving site? What do you think? Has pumpkin art gone too far? Or do you enjoy getting creative?